When we talk about Digital Health, technology geeks is probably the first thought that comes to our mind. But what about healthcare professionals? Is real innovation in Healthcare organisations designed and developed with them? inDemand is about Healthcare professionals identifying their unmet needs and solving them within a digital solution co-creation process with IT companies and the financial support from public funding bodies. It’s weird but true: Healthcare professionals will be having a direct participation and say during all the process. inDemand gives a leading role to Healthcare professionals. Why is the inDemand model great news for Healthcare professionals? We’ve discussed with two doctors that participate in the challenges identification. They are Carlos Arenas, a doctor specialized in Public Health and Preventive Medicine, and Encarna Guillén, a pediatrician and clinical geneticist. They both work for Servicio Murciano de Salud (SMS), the regional public Healthcare provider in Murcia (Spain). “Healthcare professionals usually have new ideas which don’t always have a quick or easy implementation. 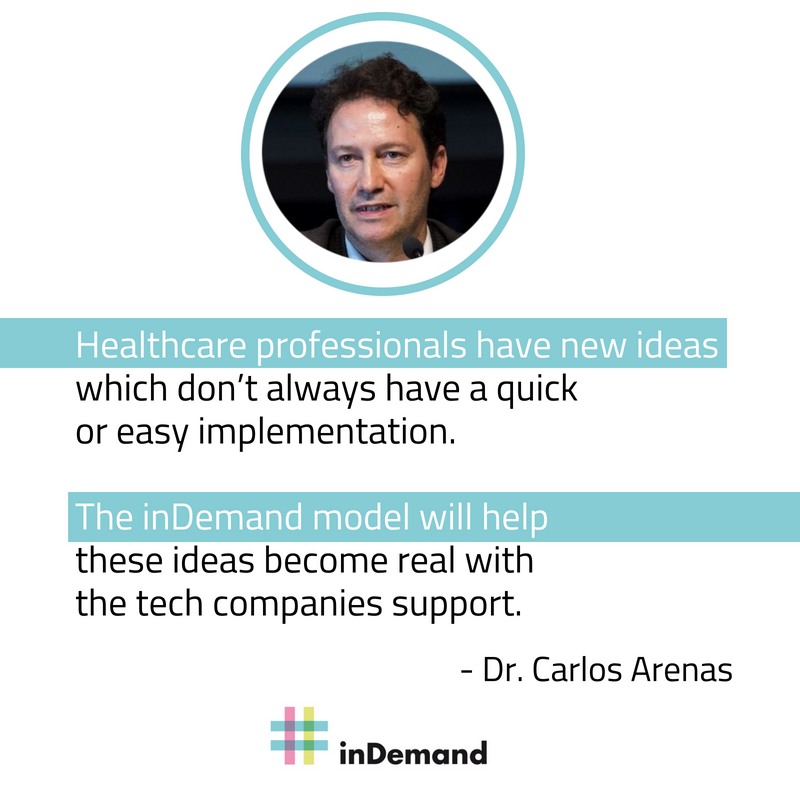 inDemand -demand driven eHealth co-creation model- will help these ideas become real with IT companies support”, says doctor Carlos Arenas. Within a co-creation process, “both actors contribute with the expertise in both fields, which is a must for an eHealth project to be completed successfully”, highlights Carlos Arenas. “Digital Health is a key tool for a patient-centered care, one of the actual challenges in Healthcare. The development of customized digital solutions will positively transform the healthcare process”, says doctor Encarna Guillén. Intrapreneurs are the main character for real innovation in Healthcare organizations. “With inDemand, talent is put in value. 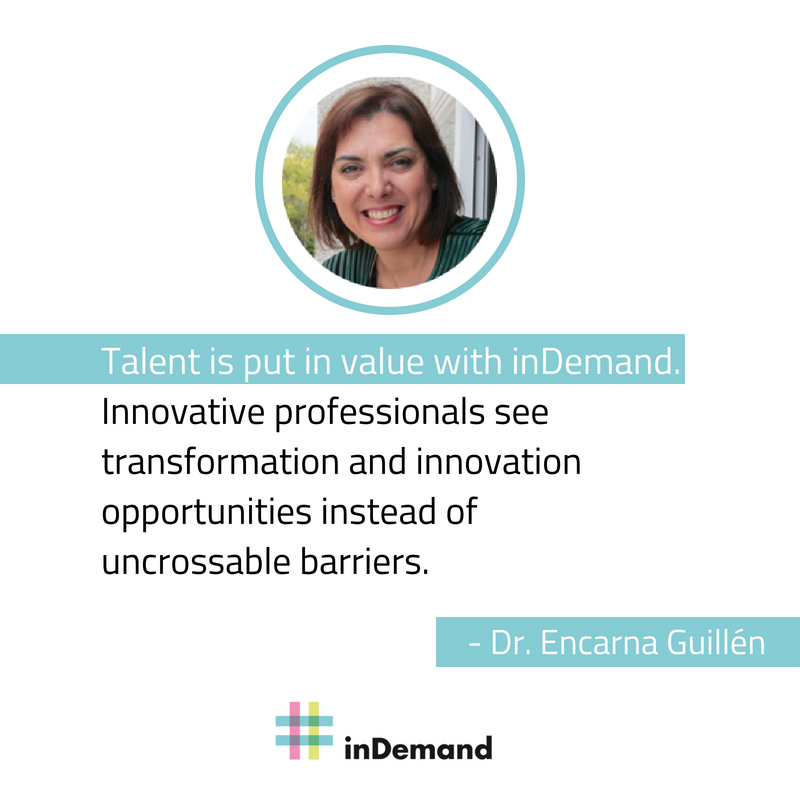 Innovative professionals see transformation and innovation opportunities instead of uncrossable barriers on their daily job”, declares Encarna Guillén. “When healthcare professionals are the change leaders, there’s a direct impact in their motivation and self-confidence. It encourages them to improve and leave the comfort zone. These are key aspects to achieve excellence”, concludes Carlos Arenas. 3 European regions Murcia (Spain), Oulu (Finland) and Paris Region (France) are already testing the inDemand model. Initially, their 24 identified challenges will be geared to the Digital Health sector, but the model can be implemented in any other. These regions will openly disseminate their best practices and lessons learnt. WANT TO KNOW MORE ABOUT INDEMAND OUTCOMES AND BEST PRACTICES? SUBSCRIBE TO OUR NEWSLETTER HERE (Promise, we don’t spam).